Peach-themed makeup has been having a moment over the past year. It is a perfect spring/summer color, but can really be worn year round for a pop of brightness. 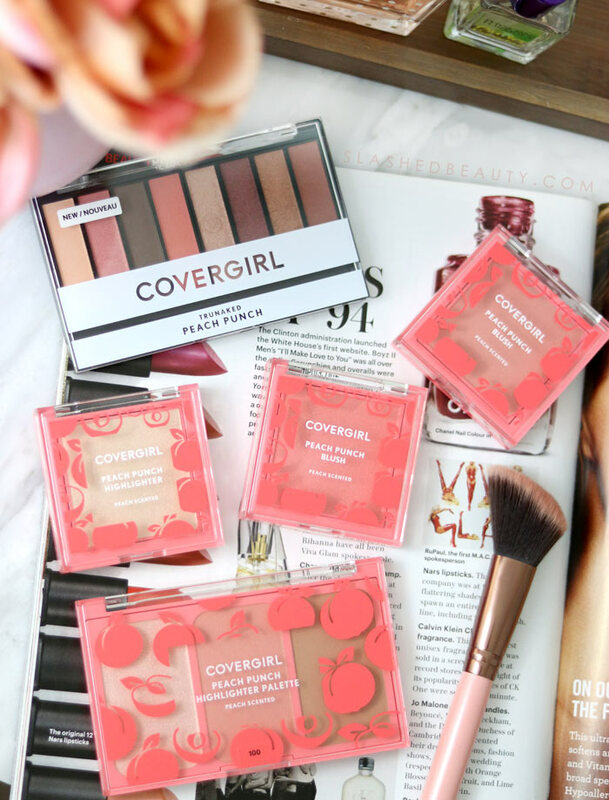 Now, Covergirl is making the trend more affordable with its Peach Punch collection launch, exclusively at Walmart. The collection not only has a peach color scheme, but also features a peach scent in all of the products. 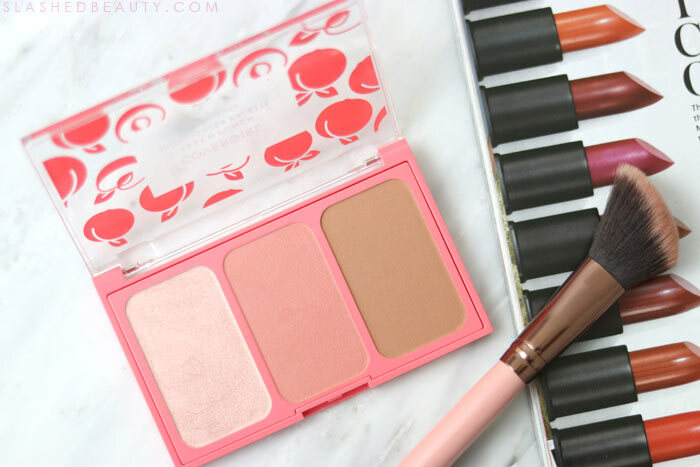 Yes, it’s very reminiscent of the Too Faced Peach Collection, but at a fraction of the cost. Watch the video above for my first impressions, swatches and tutorial using the products. 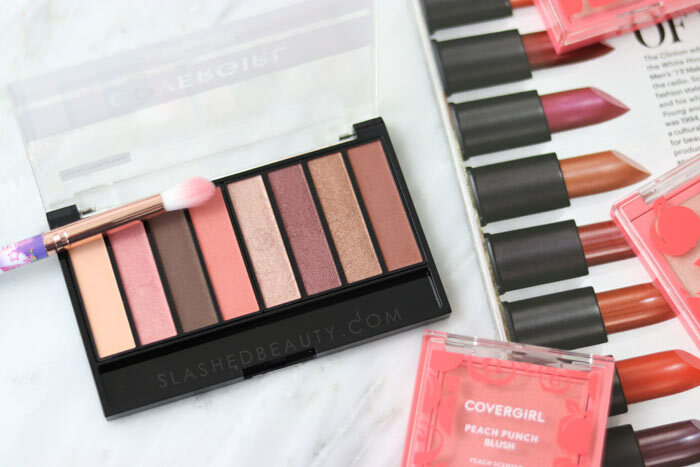 The “hero” of the collection is the Covergirl TruNaked Peach Punch Palette. This eyeshadow palette contains eight super pigmented, smooth and blendable shadows balanced between shimmer/metallic and matte finishes. You’ll be able to get multiple looks from this small palette, and the quality is up to par with the other TruNaked palettes that I’m obsessed with. My favorite thing to do with these palettes is apply the shimmer shades wet for a bold metallic look. It makes for a show-stopping cut crease! While the color scheme features a few obvious peachy shades, it’s actually pretty generous with neutrals so you can get definition and more subtle every day looks as well. 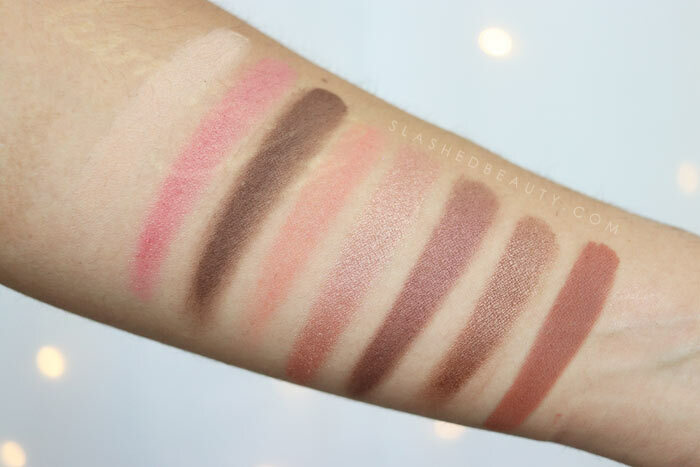 The peach scent in this palette, as well as most of the other products in the collection, is very subtle. You really have to stick your nose up against the product to smell it. At least, that’s how it is after it’s been aired out for a couple minutes while using it. I am usually put off by super artificial scents, but this one doesn’t bother me at all. There are also three standalone face compacts in the collection. 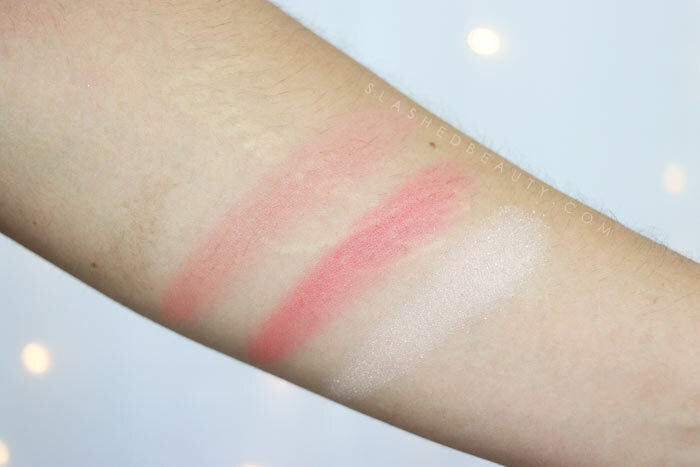 The Covergirl Peach Punch Blush is silky and buildable, but you get pretty great pigmentation in one layer— it took me by surprise! There are two shades: 120 (far left) which is a more subtle and natural pink, and 130 (middle shade) which is on the bolder side. The Peach Punch Highlighter is pretty great as well. While there are glitter particles in the formula, it does create an even sheen that will catch the light for a strobe effect without relying solely on the glitter. And it’s not a spray-over. The glitter is throughout the entire pan. I will say, the highlighter has the strongest peach scent out of all the products where I can actually smell it as I apply. Overall, I’m a fan of the peach collection. 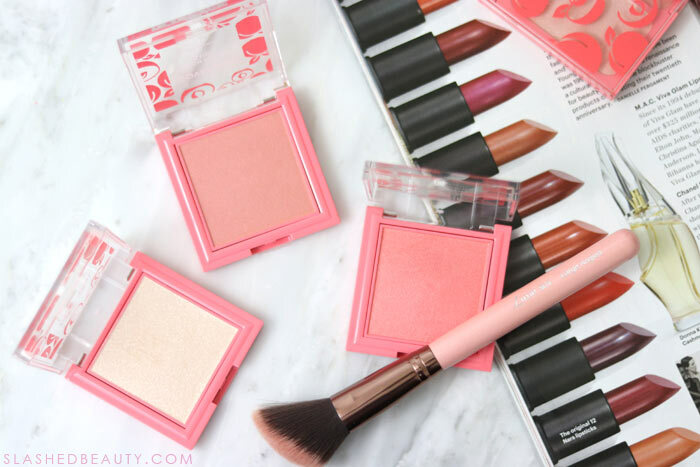 The “must-haves” in my opinion are the eyeshadow palette, at least one of the blushes, and the single highlighter— which I’m surprised I’ve been using pretty consistently! There’s no word on whether this is a limited edition collection or if it will stay at Walmart for good, but I know it’s already selling out on their website. Grab what you want before it’s too late! What do you think of the peach makeup trend? Haha True Naked Nudes? Funny name.